Advances in medical technology have made diagnostic imaging studies like ultrasounds more detailed than ever, providing 3D and 4D images. 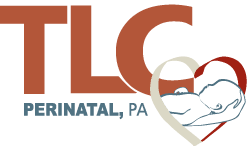 The team of expert maternal-fetal medicine specialists at TLC Perinatal PA have 3D and 4D imaging capabilities at their offices in Silver Spring, Hagerstown, and Germantown, Maryland, to provide enhanced diagnosis and treatment. Upon referral, call or schedule an appointment online. What are 3D and 4D imaging? An ultrasound is a standard test used during pregnancy to measure and monitor the development of your baby. Traditionally, ultrasounds create two-dimensional images. However, advances in ultrasound technology have made 3D and 4D images available for more detailed and precise information. Why would I have 3D or 4D ultrasounds? The doctors at TLC Perinatal PA offer 3D and 4D imaging when it’s medically necessary for enhanced diagnosis and treatment. Most insurance plans won’t cover optional 3D and 4D ultrasounds merely for the sake of seeing your baby’s facial features for the first time. However, if your first-trimester prenatal screening or other genetic tests indicate an increased risk of genetic abnormalities, such as Down syndrome or spina bifida, or physical issues like cleft palate, a 3D or 4D imaging study provides your MFM specialist with more information about your baby. Advanced imaging helps them in helping your obstetrician to customize your prenatal treatment plan and give as much education as necessary to help you understand your baby’s needs. What happens during 3D and 4D ultrasounds? Your experience during 3D and 4D ultrasounds is the same as a traditional 2D imaging study. During a 3D or 4D ultrasound, you either wear a hospital gown or adjust your clothing to expose your abdomen. Your expert ultrasound technician applies a clear gel that helps conduct the sound waves through your body. Then your technician moves a hand-held transducer wand over your abdomen. The primary difference is that 3D and 4D ultrasounds create more detailed images that allow you and your doctor to see facial features and other developmental features. A 4D ultrasound creates a video of your baby, which shows movement and facial expressions. Ultrasound procedures are safe, noninvasive, and painless. OB/GYNs have been using ultrasound technology to monitor pregnancies for decades and the essential information provided by these tests far outweighs the minimal risk. If your obstetrician has determined that you need advanced imaging to monitor your pregnancy, have them refer you to the expert sonographers at TLC Perinatal PA. Call or make your appointment online.